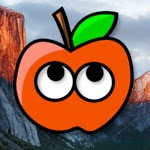 LATEST UPDATE (August 25, 2012): This fix only works for OS X Mountain Lion 10.8.0; the it does not work in newer versions. If you do apply this fix in 10.8.0, you will have to un-apply it before updating OS X. Otherwise, Mountain Lion will not be able to boot. You can do this by reinstalling the original versions of the two mentioned kexts. 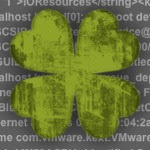 First, you need the versions of these kexts that were used in Mac OS X Lion. You can download these kexts below. Double-click on the ZIP file of Lion kexts that you downloaded. The file will unzip into the two Lion versions of the kexts. 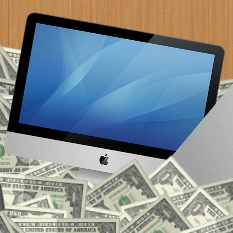 Drag the kexts onto the desktop of Mac OS X. Next, download Kextbeast, a kext-installation tool from tonymacx86. 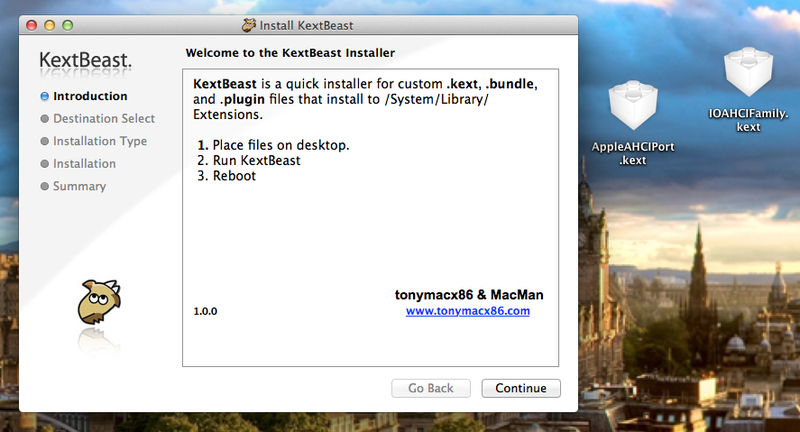 Open Kextbeast, click through the confirmation screens, and install the two downloaded kexts. Then reboot. If everything works correctly, your boot time should have been cut by about half. Congratulations! NOTE: If your Hackintosh uses an SSD, you will have to reinstall TRIM Enabler in Multibeast after performing this fix.